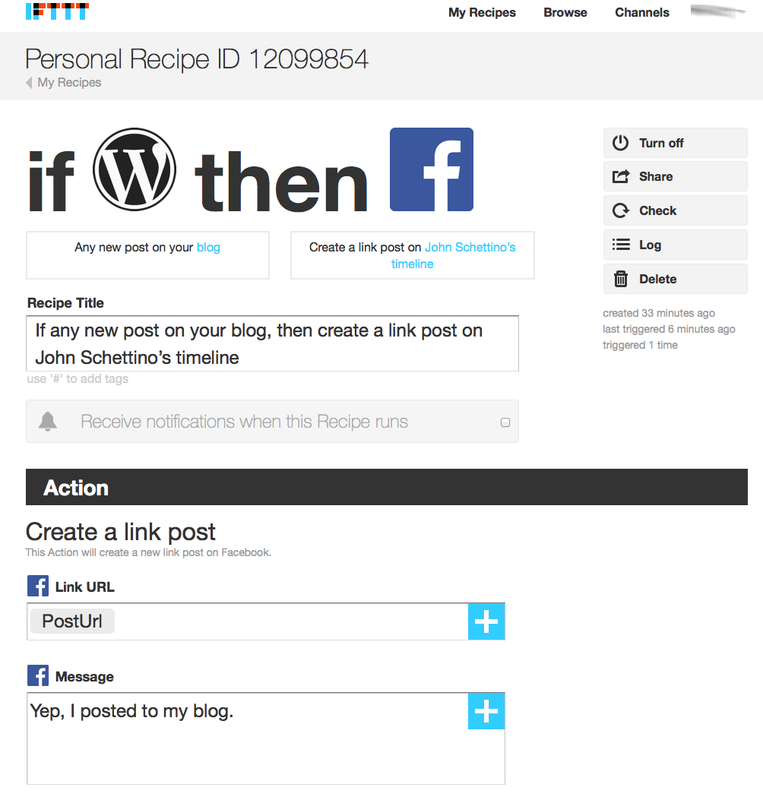 I’m trying this out now to automate things like posting updates to Facebook when I hit the gym, or post a new post to the blog. 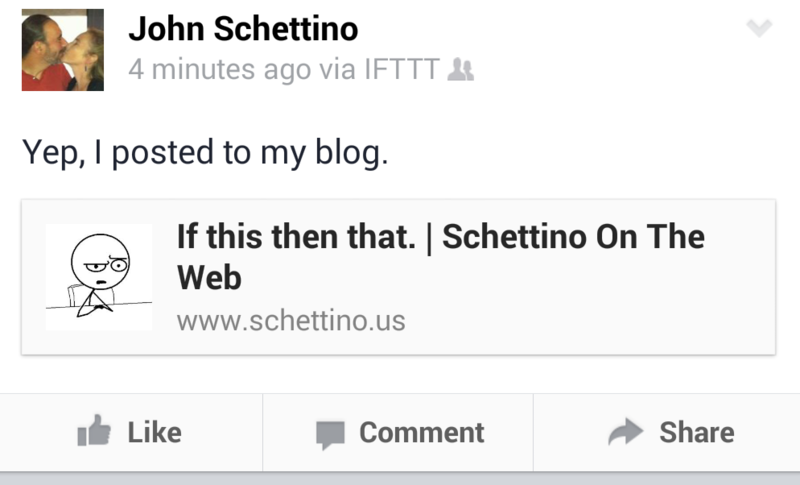 For example, if it works then you may have been directed to this blog post via Facebook. Some things seem obviously lacking right off the bat but then I’m a programmer – I want if this and this or this and that other thing then do these things and maybe wait for something else and then do that other thing. Which is probably why MY service was a research project, and this thing is a free web service that anyone can use. Sometimes just doing something a little awesome but in a way that’s simple to use is better. And that… is pretty nice.